Are PORTUGUESE WATER DOGS - HYPOALLERGENIC? Portuguese Water Dogs have short hair that does not shed and is considered a working dog, meaning that it is a breed that needs to stay busy. This breed is considered a hypoallergenic dog. Traditionally used to assist in fishing expeditions, the Portuguese Water Dog is now kept as a house pet. While this breed is not as common as other breeds, if you want to dog that is hypoallergenic, lively, and enjoys companionship, then this breed may be the one for you. 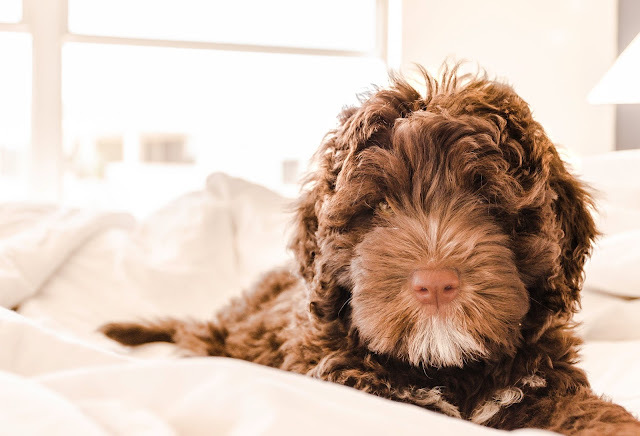 Since the Portuguese Water Dog is not bred as often as other breeds of hypoallergenic dog, you will have to search for a breeder online, in the newspaper, or by calling breeders in your area until you find one. Generally happy dogs, the PWD needs to stay busy or it will get bored. You should have plenty of toys for it to play with and you may want to consider crate training when you are not at home. This means that the dog will stay in a crate when you go out so it does not destroy your home. When the PWD gets bored or lonely, it will chew on anything it finds. Crate training should begin right after you bring the dog home. By placing a blanket, toys, and water into the crate, you will make the dog comfortable while you are away. You should not use the crate when punishing the dog or it will not want to go in it when you leave for the day. 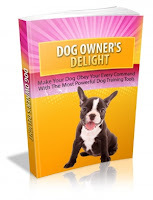 After training the dog, you will have to keep up the routine. This will give the dog structure and will also salvage your possessions. Keeping the dog in a crate when you are not at home will also reduce allergens. Portuguese Water Dogs need to be groomed every two months or so. There are two patterns that most groomers follow, the retriever cut and the lion cut. The retriever cut means that the hair is cut evenly on the body. The lion cut leaves that front half of the dog's body covered with hair, while the hair on the hind legs is cut short. You should take the dog to have his hair groomed if you are not comfortable cutting it yourself. If you are considering buying a PWD, you should be prepared to have constant companionship. These breeds need to be walked and they need to be entertained throughout the day. If you need to travel on vacation or for work, you should board the dog so it will not be lonely. Portuguese Water Dogs typically live between twelve and fifteen years. 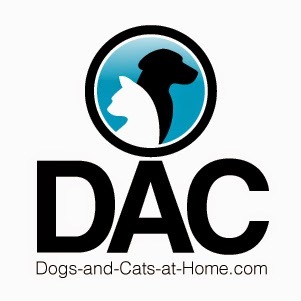 Portuguese Water Dogs are easy going and get along with children and most adults. If you are looking for a breed that does not shed and will fit in with your family, then the PWD is the breed for you. While most Portuguese Water Dogs are black, some are white or a mix of both. Their hair is curly or wavy and similar to that of the standard poodle. They say a dog is a man's best friend. I must say they are right. I have practically grown up amidst dogs since my family owns a pet store. From my childhood to adulthood, my then puppy and now dog, Tim, has been a source of constant comfort for me. I can say it proudly that I know quite a lot about dogs. I know more about them then is required. Maybe, because of that, dogs are my second family. There are a variety of breeds. And every breed is unique in its own aspect. When you go out to buy a puppy, you'll have a hard time picking out the dog you want because you'll find yourself loving almost a dozen dogs in the stop. I have spent a lot of my time with various breeds in my family's dog shop. Yet I am the most comfortable with the Portuguese Water dog. This is the prime reason why my pet, Tim, is a Portuguese Water dog. Portuguese Water dogs are also known as 'Cao de Aqua' in the native Portugal language which mean 'dog of water'. These dogs differ from other breeds in the aspect that they are known for their unique strength and water swimming abilities. This is why fishermen prefer these breed when they go out to sea. Since they have exceptional swimming and diving characteristics, these dogs guard ports and are used to retrieve broken nets and other stuff from the seas. They also run various errands, the most popular one, acting as couriers from ships to other ships or to the shore. If you are an athletic person like me, out of all the breeds the Portuguese Water dog is for you. This is because they require a lot of exercise and you can easily let them accompany you for long walks. They are also very intelligent and thus are quick to respond so you can train them easily. In the recent years, you will find it easier to get a Portuguese Water dog as compared to the olden days. Even if you can't find them in the dog stores, you can easily order them online. These dogs are for sale online as well. You can even buy these puppies for sale as well. Many agencies are selling dogs in online sales in order to sell various dogs at low prices simultaneously in order to make more profits. Dogs and puppies are both for sales on such websites. 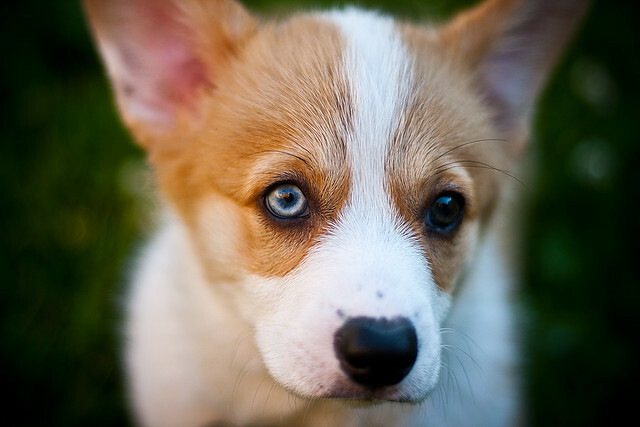 Most buyers prefer buying puppies since they are easy to train. However, with the Portuguese Water dog, you can buy the adult dog since they are quite intelligent and respond well to training even when they have matured. In this technological era, puppies for sale or dogs for sale on the internet are just another advancement in the internet arena. These websites act as a replacement for pet shops. They are more detailed and easier to access than pet shops as well. Portuguese Water Dogs for Sale webpage is great solution to buy a puppy online. Check are there any Puppies for sale in Arkansas as well!